We love reading here at Contentworks. With favourite books ranging from Roald Dahl’s The Twits (yes, we’re big children at heart) to Paulo Coelho’s The Alchemist, our passion for literacy is unshakable. And as literacy is at the core of everything we do as a content marketing agency, teaming up with non-profit organisation Room to Read sits comfortably with our work ethic and brand values. 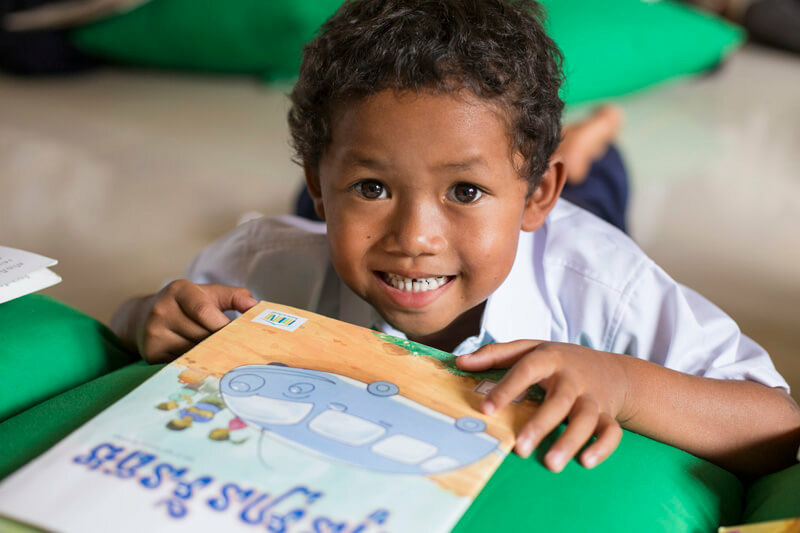 Renewing our commitment to #literacyforall, we will again be supporting the admirable efforts of Room to Read by providing the equivalent of 500 library books for kids. Room to Read is a leading charity focused on childhood literacy throughout Asia and Africa. They provide youngsters with the resources, support and encouragement needed to break boundaries and succeed. Their work often challenges social and gender stereotypes and is designed to open doors for those who may have missed out. The work of Room to Read has impacted over 16 million children and their communities. With over 20.6 million books distributed, this organisation believes world change starts with educated children and we couldn’t agree more. We feel passionately about girls having access to the same opportunities as boys. We also pay close attention to #literacyforall, #equalityforall and #equalpayforequalwork. Such topics have been in the news a lot lately and we couldn’t be happier about it. By highlighting these areas, walls can be broken and glass ceilings smashed. Backing the incredible work carried out by Room to Read is a privilege for us. The values of this hard-working and world-changing non-profit sit nicely with our own. And being able to further the education of young people feels great. We’ve loved following updates from Room to Read on social media and look forward to an exciting 2019 where our contribution will help to shape lives for the better. Room to Read is a strong non-profit with a clear global mission to give kids around the globe equal access to reading materials. Their commitment to the cause is unshakable and we are proud to renew our collaboration with such an inspirational charity. Stay tuned for social media updates from the Contentworks crew. Literacy for all is close to our hearts and we’ll be sure to share our stories.